If you’re planning on visiting the UK, and want to visit someplace fun for the ENTIRE family other than LONDON, you should visit Blackpool. Here are 10 reasons to visit. 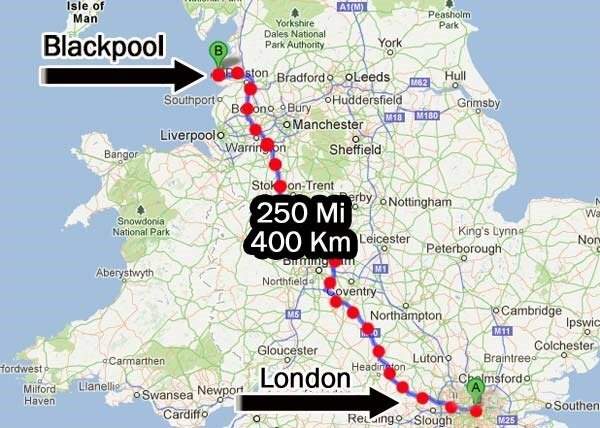 BlackPool draws over 10 million visitors every year. 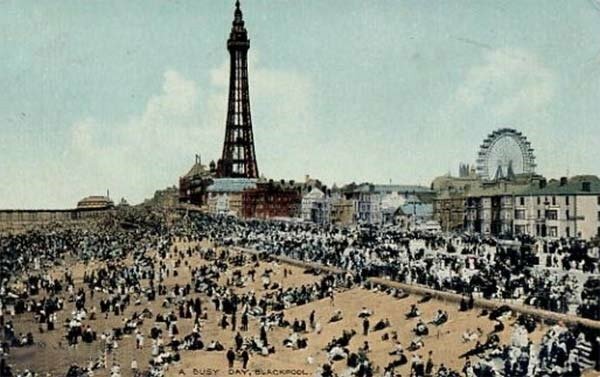 Located in Lancashire, just 250 mi / 400 km north west of London on the coast of the Irish Sea, Blackpool has been one of Englands most popular seaside holiday resorts since the 1800’s, when it became fashionable to bathe in the sea water for health. 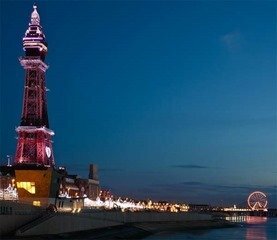 Some say that Blackpool is Britain’s answer to Las Vegas because there is literally something for everyone from fun amusement parks and bustling beaches to a vibrant nightlife, gambling, water parks and more. It even has it’s own sports team. Let’s dive into the top 10 most notable places that attract over 10 million visitors per year. Inspired by the Paris Eiffel Tower, the Blackpool tower is one of the most recognizable landmarks of Blackpool. It first opened in 1894 and is over 500 ft. / 158 m tall. If you visit on a sunny day and take the lift to the top you can see for miles then grab a bite to eat at one of the restaurants at the base of the tower. After a day at the beach, what could be better than to go see a show at the Blackpool Grand Theatre? A beautiful theatre that is worth a visit even if only to see the building itself because it has been remodelled beautifully. Depending on when you go, you can see a traditional play, musical, opera, dance, ballet or the yearly pantomime show. Have kids or love water parks? 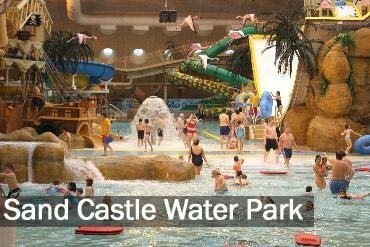 Go check out Sandcastle water park which is the largest indoor waterpark in the UK. Be sure to block out a whole day for this park because there are over 18 rides which you will want to ride over and over again. If you really want to get daring, take a ride on “the Master Blaster”, the worlds longest indoor rollercoaster waterslide which measures over 250 m (820 ft.). If you love amusement parks than you will love visiting Blackpool’s pleasure beach, the UK’s most visited tourist attraction and one of the most visited amusement parks IN THE WORLD. There are nearly 40 rides and attractions, including ten roller coasters that are made of wood… Pleasure Beach is also one of the few parks left in the world to operate a traditional wooden Wild Mouse coaster. Like Zoos? 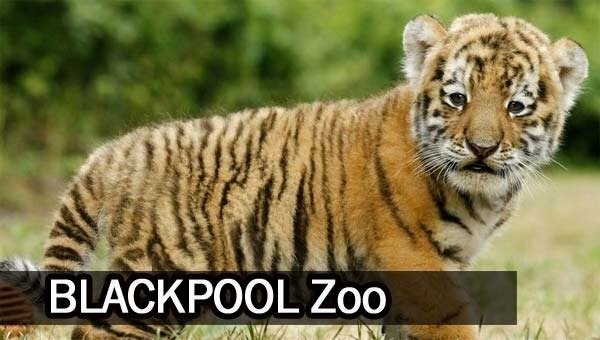 Blackpool has a zoo with over 1,500 animals from all over the world from lions and tigers, lemurs and gorillas and a children’s farm where kids can pet and feed some cute little animals. A tram, otherwise known as streetcars, trolleys or light rail depending on where you are in the world are usually powered by electricity. 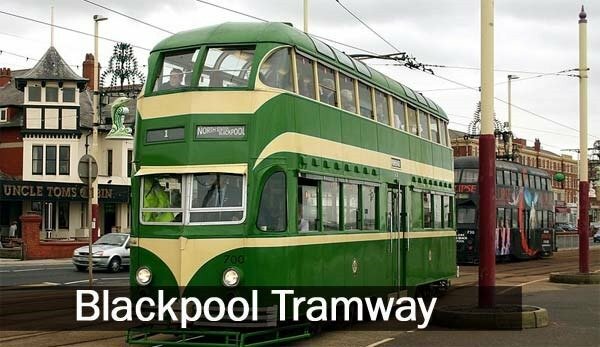 Blackpool’s tramway is the first electric tramway operated in Britain and also the only first generational tram still in operation in Britain. Tourists and tram enthusiasts come from all over the world just to ride the Blackpool tram which has been running since 1885. During the summer, there are a total of 65 trams that can run at any time one over 11.5 miles of track. If you want to do a little gambling, you can head over to the Paris Casino; a relaxed casino with helpful, friendly staff and a good selection of tables and games. Not quite as grand as Las Vegas but for the light hearted gambler it’s perfect. 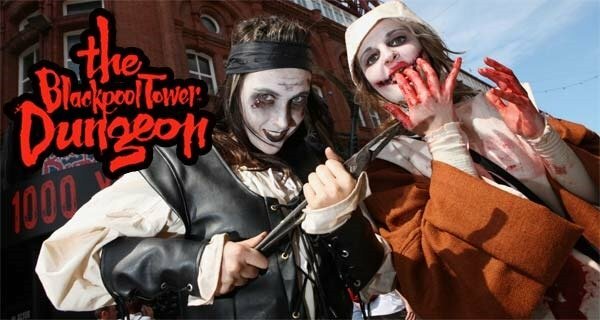 If you enjoy a dose of terror mixed with history than you are going to die when you visit the Blackpool Tower Dungeon. Learn about horrifying history from real actors, thrilling rides and special effects. If you or your spouse are into football called soccer in North America, you might be able to attend a Blackpool football game. 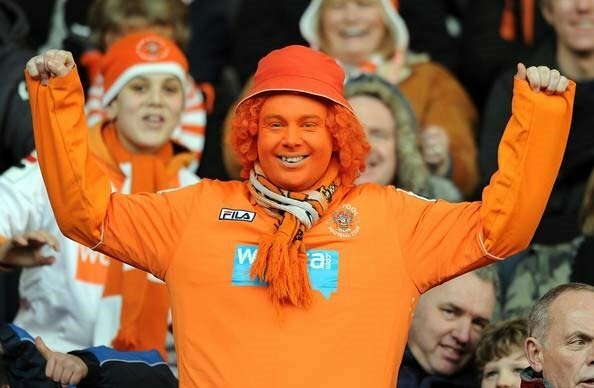 Make sure you wear orange like the bloke in the photo above since it’s their official team colour. The team is sometimes referred to as the Tangerines for obvious reasons. 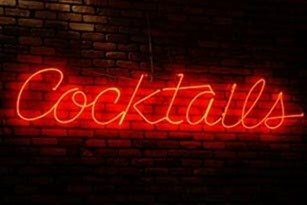 Blackpool has a very vibrant nightlife for people of all ages and boasts having almost every type of nightlife venue imaginable form electric discos and dance clubs, to classic pubs and bars. There are even karaoke bars, cabaret bars and a transvestite bar. There you have it. 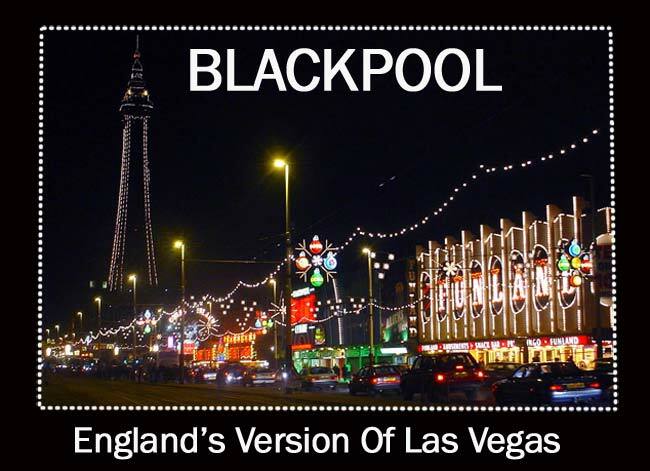 Blackpool, the UK’s answer to Las Vegas and one of the oldest and most popular seaside resort towns in all of the UK. If you are interested in learning more about Blackpool, then go to the official Blackpool site http://www.visitblackpool.com/ where you’ll find more ways to holiday in true British style.